It is with great excitement that we would like to announce the release of Sawtooth version 1.1. Earlier this year we released Sawtooth 1.0, marking the production ready status of the platform. Since then the community has been hard at work adding new features, improving the privacy and performance of the platform, and growing the ecosystem. The Sawtooth development team has been focused on two major new features for the Sawtooth 1.1 release, an improved consensus interface and support for WebAssembly smart contracts. For a full list of new features and improvements see the Sawtooth 1.1 Release Notes. If you are interested in learning more about the new consensus interface, or writing your own, please see the detailed documentation. Sawtooth Sabre is a new smart contract engine for Sawtooth that enables the execution of WebAssembly-based smart contracts. WebAssembly (WASM) is a new web standard developed at the W3C with participation from major corporations like Apple, Google, and Microsoft. The Sawtooth Sabre project leverages an existing open source WASM interpreter from the broader blockchain community. This on-chain interpreter enables developers to write their code in a variety of languages, compile it down to WebAssembly, and then deploy it directly to the Sawtooth blockchain. In addition to new feature development, the Sawtooth developer team has continued research and development on improving the privacy and performance of the Sawtooth platform. On the privacy front, a new Hyperledger Lab called ‘Private Data Objects (PDO)’ has been created. PDO enables smart contracts to execute off-chain with confidentiality and integrity through the use of trusted execution environments. For more information, take a look at this video or read the paper. Private data objects are just one way of addressing blockchain confidentiality, but expect to see more techniques available to Sawtooth over the coming months. On the performance front, much of the effort has been spent porting core Sawtooth components from Python to Rust. While Python was a great language to start with, and enabled the team to rapidly iterate and define the appropriate modularity in the architecture, it is not the most performant language. The 1.0 release stabilized many of the Sawtooth APIs, and as we began tuning the system, we identified bottlenecks arising from the design of the Python programing language. The speed and type safety of the Rust programming language made it a natural fit for the evolution of Sawtooth. As of today, roughly 40% of the Sawtooth validator components have been ported to Rust, a number that we expect will continue to increase over time. Sawtooth Supply Chain – A platform focused on supply train traceability with contributors from Bitwise IO and Cargill. Sawtooth Next-Directory – An application focused on role-based access control with contributors from T-Mobile. Truffle integration with Sawtooth-Seth – A new integration that allows you to deploy Ethereum smart contracts to Sawtooth using the leading Ethereum development tool, Truffle. Built in collaboration with the Truffle team. 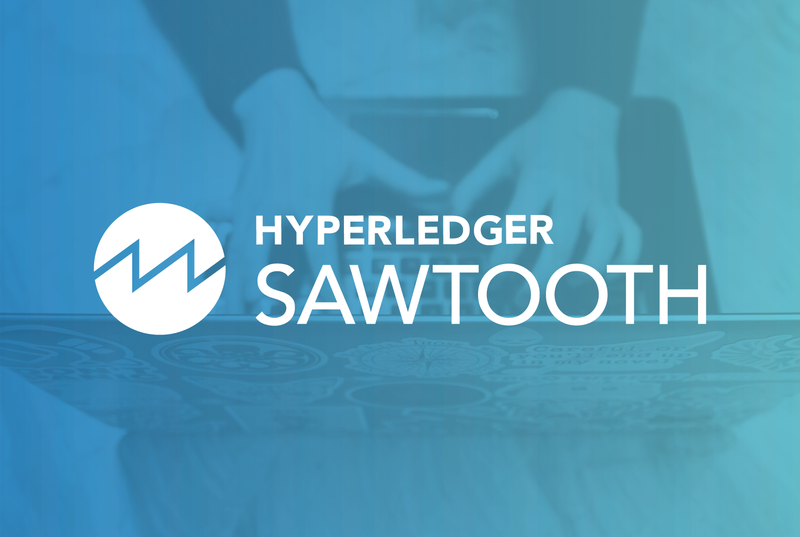 Caliper support for Sawtooth – Benchmark Sawtooth in a variety of configurations with Hyperledger Caliper. Sawooth Explorer – A blockchain explorer built for Sawtooth by the team at PokitDok. 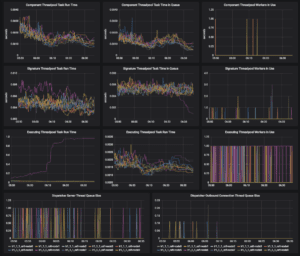 Grafana monitoring – A set of tools for data collection and visualization for live Sawtooth deployments. Adam Gering, Adam Ludvik, Adam Parker, Al Hulaton, Amol Kulkarni, Andrea Gunderson, Andrew Backer, Andrew Donald Kennedy, Anne Chenette, Arthur Greef, Ashish Kumar Mishra, Benoit Razet, Boyd Johnson, Bridger Herman, Chris Spanton, Dan Anderson, Dan Middleton, Darian Plumb, Eloá Franca Verona, Gini Harrison, Griffin Howlett, James Mitchell, Joel Dudley, Jonathan Langlois, Kelly Olson, Keith Bloomfield Kenneth Koski, Kevin O’Donnell, Kevin Solorio, Logan Seeley, Manoj Gopalakrishnan, Michael Nguyen, Mike Zaccardo, Nick Drozd, Pankaj Goyal, PGobz, Patrick BUI, Peter Schwarz, Rajeev Ranjan, Richard Berg, Ry Jones, Ryan Banks, Ryan Beck-Buysse, Serge Koba, Shawn T. Amundson, Sutrannu, Tom Barnes, Tomislav Markovski, Yunhang Chen, Zac Delventhal, devsatishm, feihujiang, joewright, kidrecursive, mithunshashidhara, and ruffsl. Thanks for reading and look forward to more posts detailing new Sawtooth 1.1 features and improvements. We encourage developers to try these new feature out and give us feedback!